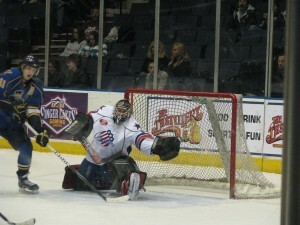 Amerks Need To Beat Lake Erie · Let's Go Amerks! 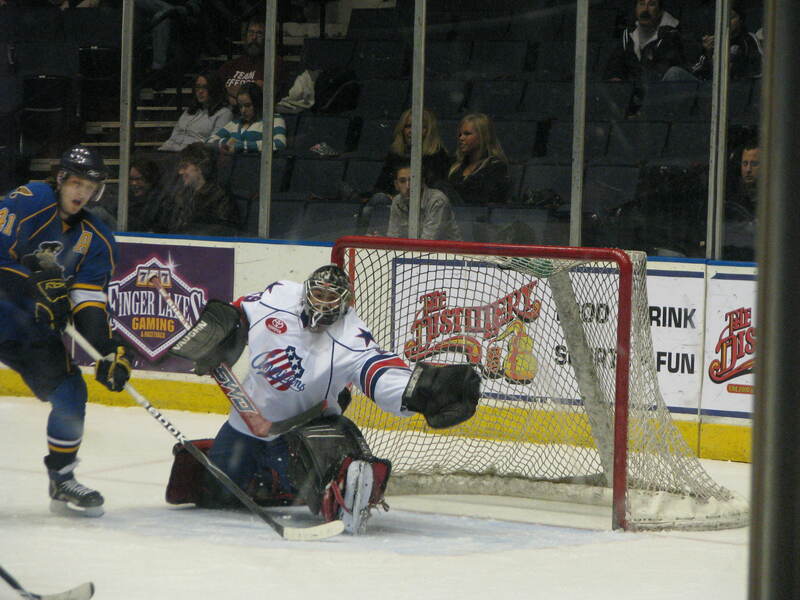 Tomorrow night the Amerks take on the Lake Erie Monsters for the second time in two weeks. They really need to, once again, get a solid win against the Monsters. The Amerks are actually starting to catch up to them in the rankings and a win tomorrow could mean the task is easier than expected. The Monsters are the team directly above the Amerks in the standings. They have 24 points and the Amerks have 16. One game against a division rival can mean 4 points in the standings very quickly. The Amerks are working hard at practice again today. The defensemen are looking really solid. You can see the difference in Shawn Matthias. He is far more confident in himself (at least in the practices I have seen him in so far), and he is moving against defensemen much better. Repik is looking solid as well. And when they are on the same line, it seems no defensemen has a chance against them. 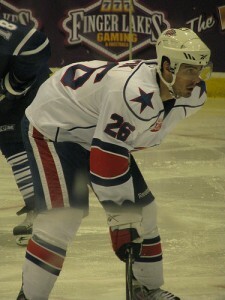 Greg Classen is still not on the ice for the Amerks, so don’t be thinking you’ll see him in the lineup tomorrow night. Because you won’t. He has only been in one practice. He will need about a week of them to be in game shape after a break like he is having. Michael Duco just took a puck to the leg, but he doesn’t seem to care. Just a little flinch and he was on his way again. No whining from him…ever. This kid is like a wall in front of the net. He may be shorter than a lot of the guys on the team, but there is no one I would rather see in front of the goalie. He knows exactly what he is doing there and he is very hard to move. Randall Gelech actually asks the coach questions. That’s nice to see instead of what the kids usually do…don’t know what’s going on and get yelled at for it five minutes later. Benoit is not allowing even the smallest mistake today. Lines are doing things completely over if they can’t get it right. Even a few months into the season, I can’t believe this is the work ethic of our team. I was so used to seeing practices that my then 3 year-old son could do without breaking a sweat, that when I come to these it still shocks me a little bit that these guys are so hard working. The ones who are here that were here last season (Stefan Meyer, Kenndal McArdle, Tanner Glass, and David Brine mostly) weren’t the players who were the problem with last year’s team. And let’s get serious…the coaching was a joke last year. The guys were playing games half the time and not working on any of the problems. Cunneyworth had given up on them from day one…the only reason he cared at all about the team was so he could get a job in the NHL. Mike Brodeur will be starting in goal tomorrow night. This is no shock to anyone. He is on an extreemly hot streak and he needs to be rode until the wheels fall off. This weekend isn’t a togh travel weekend or anything like that. A game Friday, day off Saturday, game Sunday. He should play both and most likely will play the first game back from Christmas break as well. I kind of like Riley Emmerson being played on regular shifts with Tanner Glass and Mike Duco. The first reason of course being that an all out brawl could break out at any time. And I love brawls. The second being that every game Riley improves his game, gets a bit faster and shows he can be a “real” hockey player. At the library on Tuesday night, you can tell how happy he really is to be a part of this team. And he is thrilled to be able to really contribute and to be on a line with Tanner Glass. I have a gut feeling he is going to score his first goal soon. And when he does, I hope there is as much noise for him as there was when Brodeur got his first star on Sunday night. It’s always great when a guy like Riley Emmerson can contribute more than one minute in ice time and a fight. Look at Mirasty on Sunday, he was completely useless in every sense. Once Riley made it clear he wasn’t going to fight him, he had nothing to do and was benched the rest of the game. Emmerson has taken one minor penalty this year. Only one. Besides that, every penalty minute is for a fighting major. He may be on the slow side, but he is working on that. Riley…you have a fan in me now.